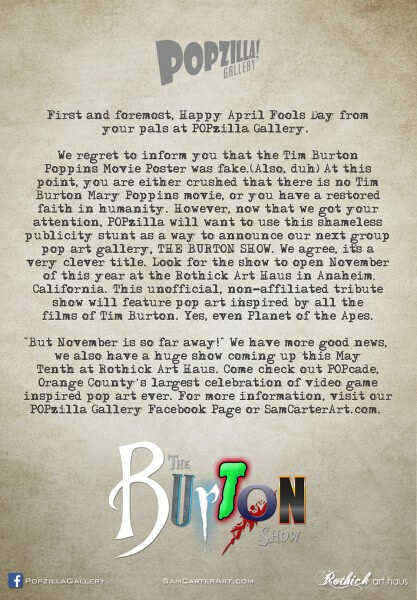 POPzilla Gallery in southern California is responsible for the viral madness that began with this Facebook post one week ago, jumping into the April Fools Day pranks a bit early. 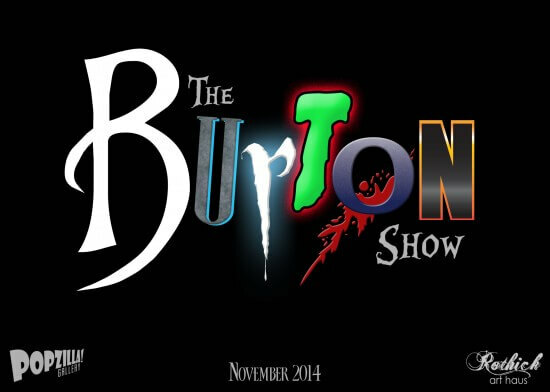 From there, the Internet ran wild with speculation, even stating that it had been officially announced Burton’s Facebook page. Not true. We jumped in on the fun yesterday to give the poster one last push and our Facebook post sent it over the edge, shared more than 5,000 times and seen by more than 700,000 people. Sorry, everyone! 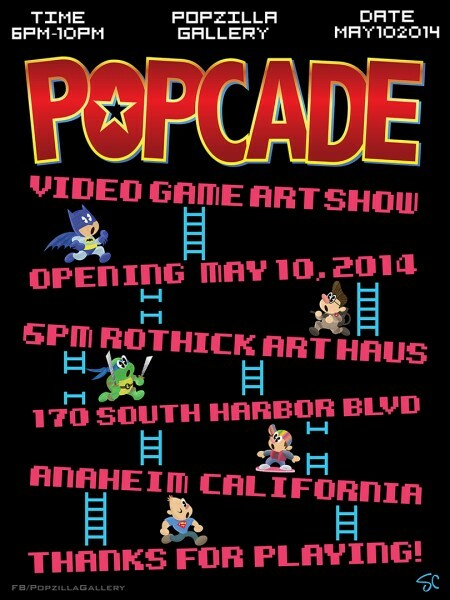 And for those who want to see cool art but don’t want to wait until November for The Burton Show, the POPzilla Gallery folks has another huge show coming up on May 10 at Rothick Art Haus called POPcade, Orange County’s largest celebration of video game inspired pop art ever. For more information visit the POPzilla Gallery Facebook Page or SamCarterArt.com. If you gonna publish such precise time information like “last week” or “this november” you might want to make sure that the date of the article is also published, which is not. How come there’s now a teaser trailer for it then with Cate Blanchett in full makeup? 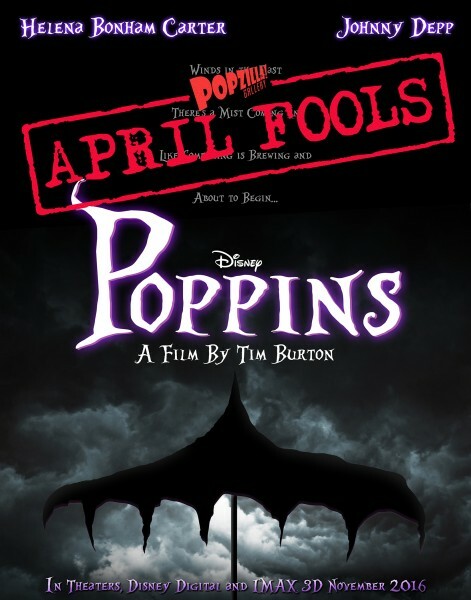 This article that states “Poppins” is being released was done in the Spring of 2014, hence the April Fool’s joke. 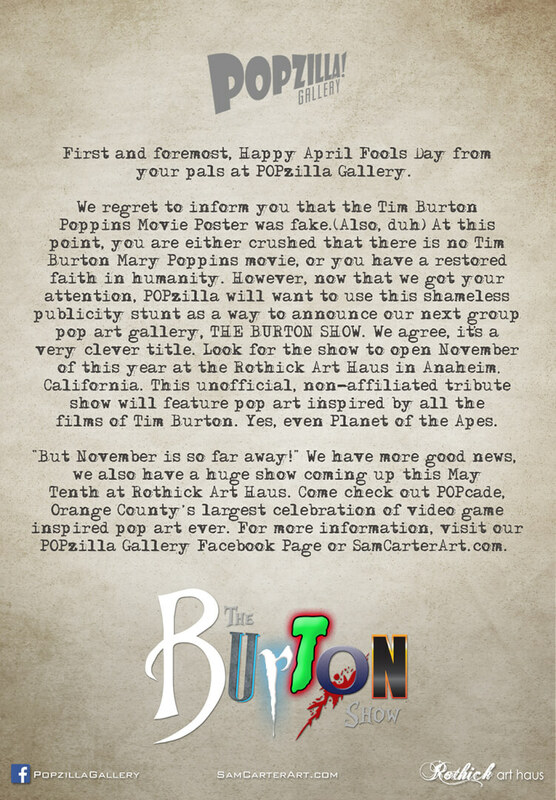 However, the video trailer including Cate Blanchett IS rumored to be released in 2016 as an actual film being done by Burton called “Mary Poppins” and it will not be as dark and twisted as his other films is what I’ve heard in the rumor mill. How the hell are we supposed to believe THIS then?